Time to illuminate your home in style with an attractive fixture. 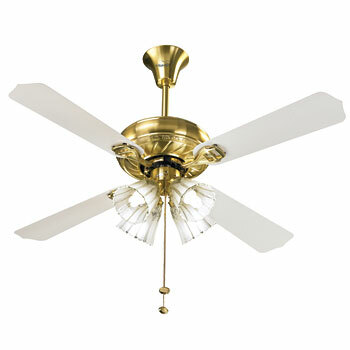 We are talking about the stunning VGL Gold under Light Ceiling Fan from the house of V-Guard. It is sure to add an updated look to your home with its pretty Gold White Pearl as well as Sandal Gold variants. 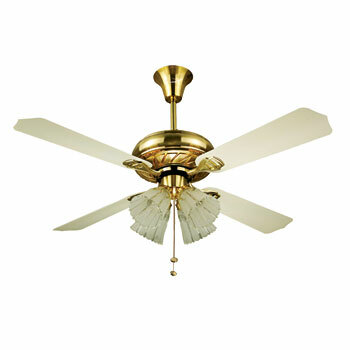 With an interesting look and a great finish, this fan will not only stand out in your interiors but is sure to fetch you some extra compliments for your taste from your guests too.This contemporarily styled ceiling fan features sleek yet wide aluminium blades for a better air flow and a convenient pull cord for operating the lights on the fans. The VGL Gold is sure to bring a modern touch to your interior space with its look and flattering features. So circulate air in and around your space with this attractive ceiling fan that you would love to own. It has also been designed to give a new twist to a classic design i.e. this ceiling fan features up-to-the-minute styling and is equipped with lights to add beautiful supplemental lighting in your room. A smooth control allows you to quickly cycle between speeds for use as per your requirement.